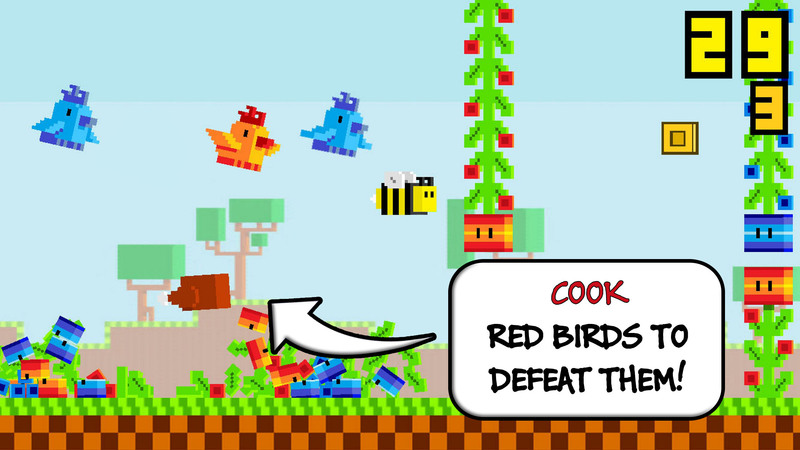 Defeat double danger and defend Blocky Bee! 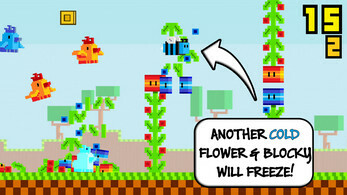 Crash through red hot and cold blue flowers. 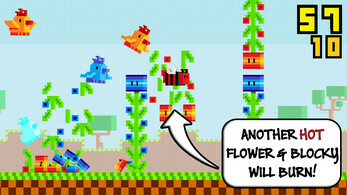 But beware, hit two hot flowers in a row and poor Blocky will burn. 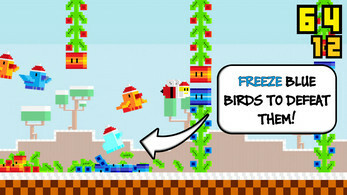 Hit two cold flowers in a row and Blocky freezes! 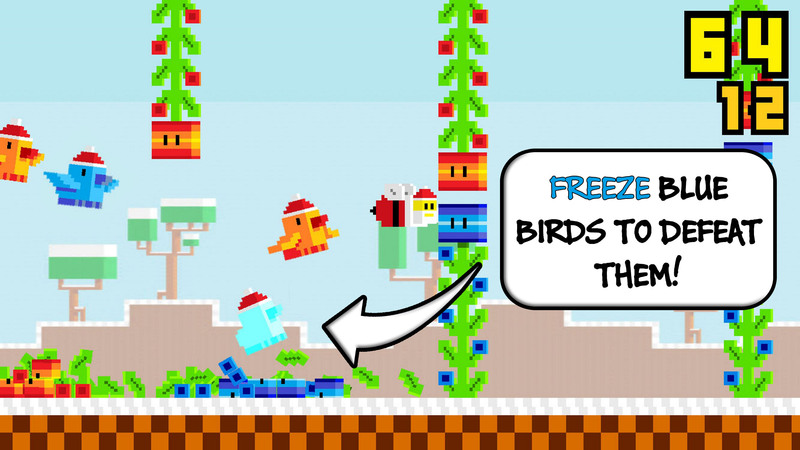 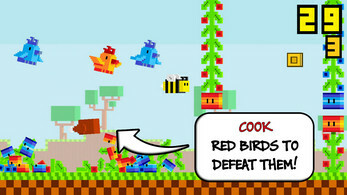 Watch out for the Flocky Birds that loom up behind - if they catch Blocky it will be the end of him! 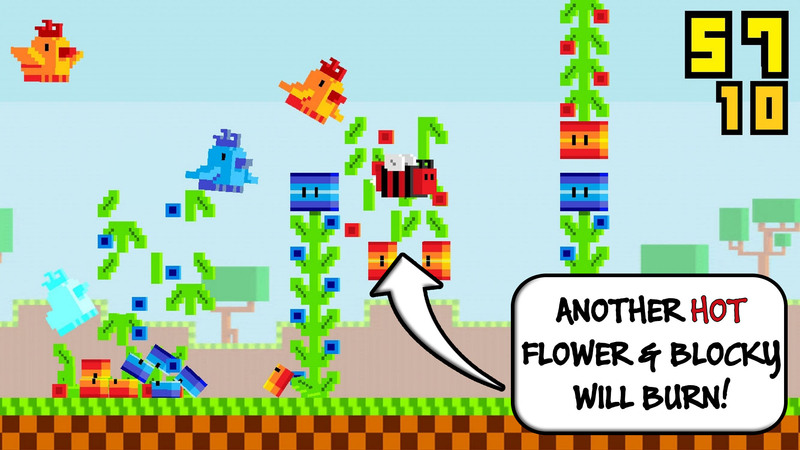 But never fear, you can defeat them by leading them to their own doom, freezing the cold blue birds with cold flowers and cooking the hot red ones with hot flowers. 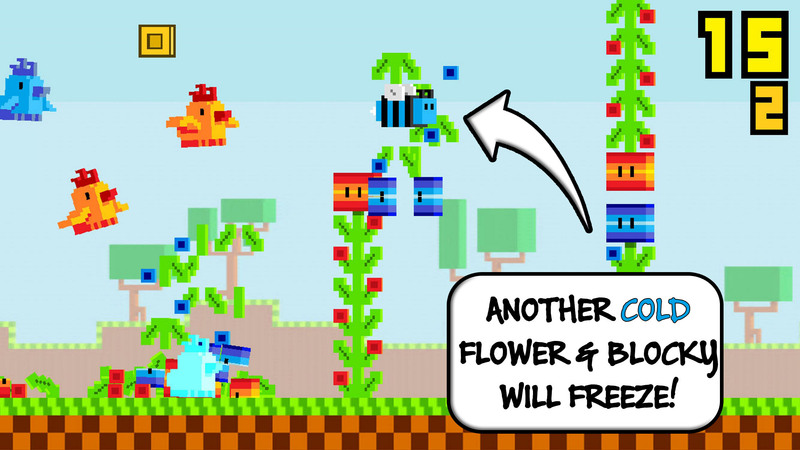 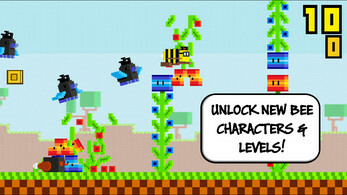 Now you can help Blocky Bee dodge death by flower and take down the Flocky Birds in this colorful, fast-paced challenge!